Congratulations to Dr. Elena Cattaneo, the winner of the 2013 Stem Cell Person of the Year Award. Her lab studies neural stem cells, particularly as they relate to developing new therapies for Huntington’s Disease. Cattaneo is Director and Co-Founder of the Unistem, the Centre for Stem Cell Research at the University of Milano, Italy. She is also the Director of the Laboratory of Stem Cell Biology and Pharmacology of Neurodegenerative Diseases in the Department of Pharmacological Sciences. Beyond her great achievements in stem cell science, she is that rare stem cell scientist who goes well above and beyond the call of academic duty to act as an advocate as well. “choosing her is meant as an appreciation and an encouragement for many Italians of the new generations who commit themselves, amid difficulties, to scientific research”. She has a track record of taking important public stands on key issues over the years. For example, she has stood up for keeping partisan extremist politics out of scientific funding decisions in Italy. She and a dozen fellow Italian scientists stood up to what was a flawed Italian governmental decision to allow Stamina to proceed with a gutsy letter. It takes courage to not only do your research, but also to take a stand against your own government’s flawed decision and ultimately prevail. Her actions have helped to keep thousands of patients safer and protect the stem cell field. She has also been the driving force in UniStem Day, established in 2009, which is Europe’s largest stem cell educational event. This year the event connected 15,000 high school students with stem cell researchers in 42 institutions across Italy, Spain, and Scotland. Her studies on neural stem cells and Huntington’s disease saw her awarded the “Le Scienze” Price for Medicine and a Gold Medal from the President of the Italian Republic in 2001. 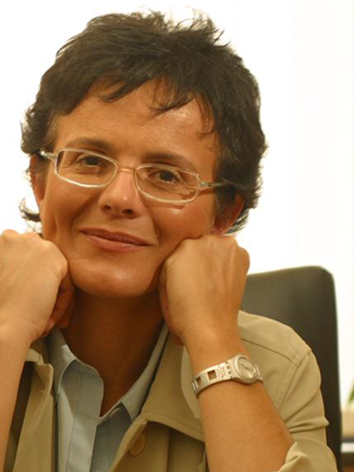 In 2005 she was awarded the Marisa Bellisario and Chiara D’Onofrio prizes, in 2006 was nominated Cavaliere Ufficiale (Knight) of the Italian Republic, and this year was appointed an EMBO member and a member of the Accademia dei Lincei, Italy’s national science academy. Cattaneo is a true Renaissance woman in science and in the stem cell field. She has excelled at science and advocacy. She even was the inspiration for a play about stem cells. Of course picking from the stellar top dozen finalists was no easy task. As was true last year, I suspect that many of this year’s finalists will be top contenders again in 2014 for this award. Many of them have made huge contributions to the stem cell field. In the end I picked Cattaneo as the Stem Cell Person of the Year 2013 Award, honoring her efforts that have made tremendous, positive differences for many years including this year. As the winner of the award, Cattaneo receives a $1,000 USD prize and recognition as the person with the top positive impact in the global stem cell field in 2013. She has informed me that she intends to use the prize money to support a trainee scholarship to a future stem cell conference. She joins last year’s winner, Roman Reed, together as two of the most positive, powerful influencers in the stem cell field in the world. Osiris FDA Letter: Trick or Treat? I suoi meravigliosi complimenti al Dr. Cattaneo, Which is congrats in Italian! Dear Ipscell, I am surprised you did not ask Stamina Foundation their version of the story. Prof. Davide Vannoni speaks fluently English and I am sure you would find interesting to listen to his version. Please note that Elena Cattaneo has always criticized Stamina Foundation without EVER accepting a public debate with Stamina members, without EVER accepting to discuss with patients who have benefit out of the treatment. She helds conference around Italy to first-year university students criticizing Stamina without EVER inviting any of the researcher who work for Stamina. Is this a good way to promote a debate on stem cell research? Last but not least: she has deliberately ignored to quote the improvements that patients are having (nowadays, they are still under the stamina treatment in a public Hospital – Spedali Civili di Brescia). There are loads of documents and videos to prove these improvement XXXXX. Moreover, there are doctors and professors (es. Dott. Marcello Villanova, Dott.ssa Imma Florio, and most famous Prof. Camillo Ricordi – University of Miami – see http://www.youtube.com/watch?v=uNjKOP7RBLA – his key note lecture at the 2013 Cell Transplant Society conference ) which have criticized how the italian minster have dealt with the trial and has shut down the trial itself. Two of them have patients under the cure of Stamina method, who are significantly improving (XXXXX ). Would you like to give voice also to the other side of the story? Stamina email is pubbicly available: info(AT)staminafound.org As for the American Stem Cell award..I wish next year the Committee will give the award to someone who spend less time criticizing methods for compassionate cure, and more on useful researches.